GIMPshop is essentially Gimp with some cosmetic changes. GIMPshop is essentially Gimp with some cosmetic changes. The Gimp’s menu structure and naming conventions are a constant source of frustration for users accustomed to Photoshop. gimpshop.com is owned by a greedy domain squatter and NOT the developer. Please have everyone you know update their bookmarks. While GIMPshop does not support Photoshop plugins, all of GIMP's own plugins, filters, brushes, etc. remain available. Due to the changes to the interface, many Photoshop tutorials can be followed in GIMPshop unchanged, and most others can be adapted for GIMPshop users with minimal effort. Demand on hard disk is only 30.1 MB (GIMP needs 84.9 MB). Basic installation in difference to GIMP only with english user surface, no other languages. GIMPshop was added by Ola in Apr 2009 and the latest update was made in Oct 2016. The list of alternatives was updated May 2018 There is a history of all activites on GIMPshop in our Activity Log. It's possible to update the information on GIMPshop or report it as discontinued, duplicated or spam. Online photo editor, which can work with PSD, XCF and Sketch files (Photoshop, Gimp and Sketch App). Convert between PSD, XCF, JPG, PNG and many other formats. .
A lightweight software for illustration and making comic books on Windows and Mac OS. Alternatives to GIMPshop for Windows, Mac, Web, Linux, iPhone and more. Filter by license to discover only free or Open Source alternatives. This list contains a total of 25+ apps similar to GIMPshop. Well, as far as I've noticed there seems to be no Linux version for this app, so why does it seem to state that there is one? Oh, I feel so stupid now... Kudos to you kind sir for pointing it out and I shall most definitely put much more attention to my browsing websites! Single-window mode - that is so nice! Thanks for sharing! It was killed by the guy who runs gimpshop.com, it's a sad story. Read about it here. Makes following tutorials in the GIMP documentation impossible since it changes around the UI. Can't follow Photoshop tutorials, though, still too different. The website is also REALLY spammy. hahahahaha blaming an application more mature than the 64bit pipedream of microsoft for the Defective By Design masochism of vista! I could work on Vista business 64 bit only briefly stable with GimpShop. GimpShop crashed after a few minutes. Moreover, I miss rectangles or circles for insertion in a loaded picture. I think, one must still wait, until this promising application becomes more mature. I have not found a German-speaking user interface like with GIMP. Available plugins (e.g. for tools as rectangles oder german interface) cannot be found easyly from inside the application or in the web. 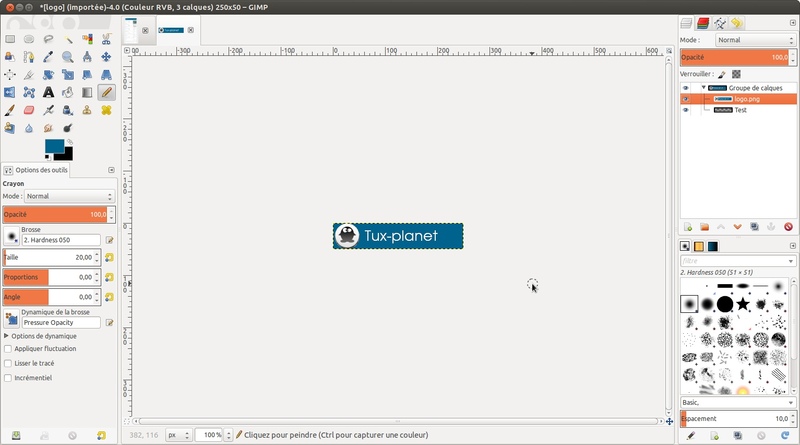 It is not clear, which GIMP plugin you can use with GIMPshop. Gimpshop is distributed under the GNU GPL license, so it's not free as beer, but free speech. So I gues you should mark it as "Open source".